The Egyptian Interior Ministry security services have deployed wide-ranging security plans in Greater Cairo and across Egypt’s governorates alongside the start of the constitutional amendments referendum, in order secure the electoral headquarters and roads and address any attempts to obstruct the electoral process. The security services in the various security directorates in the governorates have implemented large-scale security plans and procedures to maintain security and order, combat crime in all its forms and protect and secure citizens during their voting in the referendum. Cooperating with the Armed Forces, security services will secure more than 10,000 polling stations over a period of three days. The Interior Ministry called on all citizens to comply with security instructions and cooperate with police to implement these security plans with utmost accuracy and proficiency. 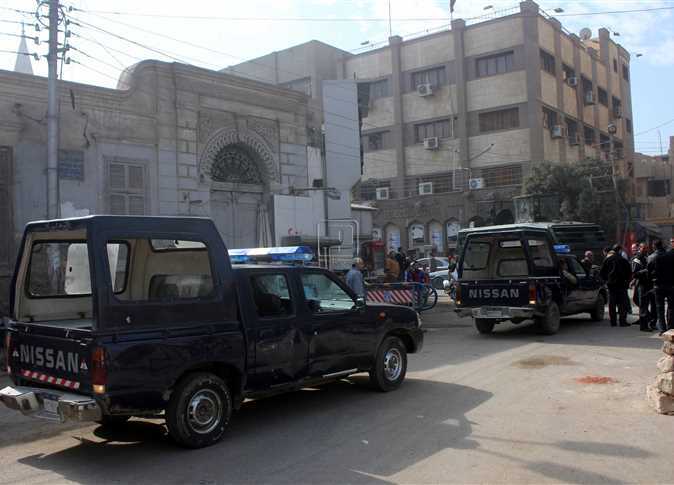 The security services tightened procedures in the underground and public transport stations in Greater Cairo, expanded deployment services, deployed secret services, and increased inspection of citizen bags using metal detectors. Finance Minister Mohamed Maait said on Saturday that Egypt’s fiscal policy aims to raise economic growth rates to 6 percent in the upcoming fiscal year, following the recent rise to 5.5 percent and the government’s success in achieving a balance of growth between different economic sectors. Maait’s remarks came during his meeting on Saturday with Belgian Ambassador in Cairo Sibille de Cartier. Maait said that the Egyptian government is keen to remove all obstacles facing Belgian investments in Egypt, and seeks to simplify all governmental procedures to support efforts to increase the volume and activity of Belgian investments in Egypt. According to Maait, the Finance Ministry is working to establish a fair tax system with modern mechanisms and procedures, to seek complete automation of the work systems of the Tax Authority. Maait said that reforming the financial and fiscal policy and ensuring their stability is an important factor to attract and increase investments, which will in turn contribute to raising rates of growth and low unemployment rates. File: The NEA spokesperson Mahmoud El SherifCAIRO - 20 April 2019: Deputy Chairman of the National Election Authority (NEA) Mahmoud El-Sherif said that the workflow at all polling stations of the referendum on constitutional amendments is going on regularly.Sherif, who is also the NEA's spokesman, said that the polling stations abroad resumed work on Saturday morning at 9 am according to the local time of each country, adding that 140 diplomatic missions in 124 countries are overseeing the voting process.The NEA has not received any complaints nationwide on the referendum process, Sherif noted, stressing that voting inside the country is going on in a regular manner. 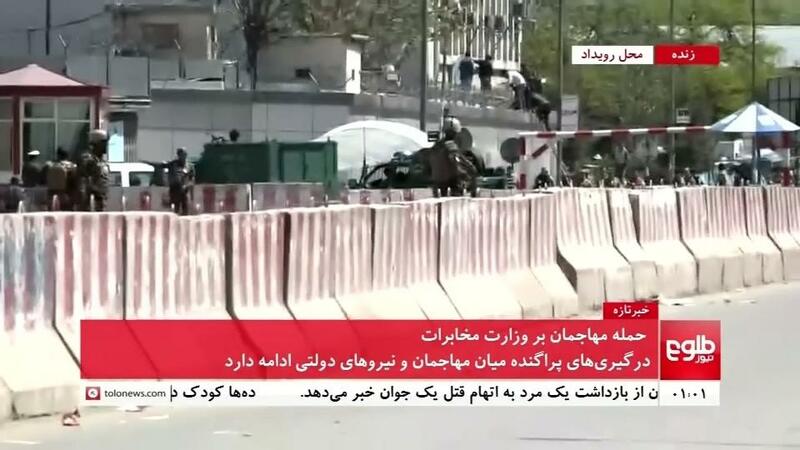 KABUL (Reuters) – Gunmen attacked the communications ministry in the center of Kabul on Saturday, interrupting months of relative calm in the Afghan capital and underlining the continued security threats despite efforts to open peace talks with the Taliban. Hundreds of workers from the communications ministry, he ministry of information and culture and the central statistics officer were evacuated from the building, along with several young children at a childcare center for ministry staff. Health ministry spokesman Wahid Mayar said six wounded had been brought to Kabul hospitals. The operation marked a return to the kind of complex attacks in an urban center that have killed hundreds of people in Kabul and other Afghan cities over recent years. The attack, just days after a planned meeting between Taliban officials and Afghan politicians and civil society representatives in Qatar was canceled, underlined the hurdles facing efforts to reach a peace settlement. 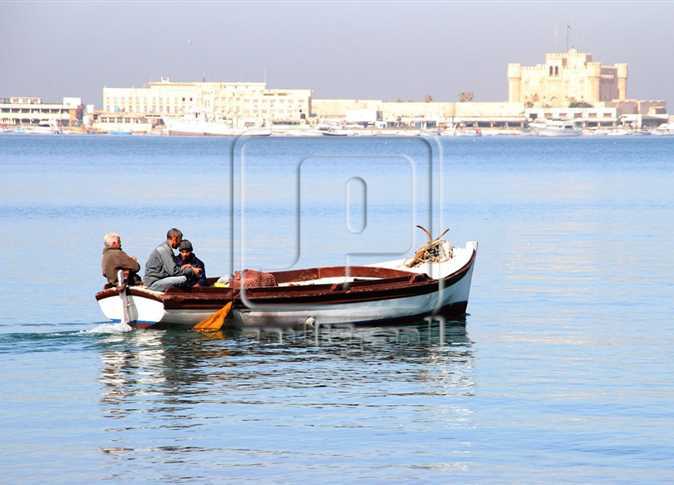 Meteorologists predict cold weather across Egypt’s northern coasts with mild weather on Lower Egypt and Cairo up until northern Upper Egypt, while moderate weather is expected for southern Upper Egypt on Sunday in the daylight. Maximum temperatures expected for the following cities are 20C in Alexandria, 22C in Cairo, 25C in Qena, 28C in Luxor and 29C in Aswan. Mist will affect visibility in the morning from the country’s northern parts to northern Upper Egypt. Low and medium-level clouds will cover the northern parts, accompanied by light rainfall on the northeastern coasts. Waves in the Mediterranean Sea and the Red Sea will be rough, ranging between 2.5 to three meters, with northwesterly surface winds on both seas. FILE: Chairman of Egyptian Media Group, D Media Group and Synergy famed producer Tamer MursiCAIRO – 20 April 2019: Chairman of Egyptian Media Group, D Media Group and Synergy famed producer Tamer Mursi took a decision to stop shooting all Ramadan series produced by Synergy company for three consecutive days, from April 20-22 to allow the series makers to vote on the constitutional amendments. Last September, Egyptian Media Group (EMG) successfully sealed a deal to acquire 51 percent of Future Group Holding, which held the CBC channels pack. The move sought to establish new integration between Egyptian media institutions to innovate and introduce new content throughout the Arab region. Also, to spread the best image that suits the professional values of media, presented by Egyptian Media Group, the biggest media and advertising entity in Egypt and the Arab World. As for Egyptian Media Group, it owns ON channels network, Al-Hayyah channel networks, Al-Youm7 newspaper, sout Al-Omma, Dot Masr and Al-Nile radio among other Media platforms. Egyptian nationals in Milan, Italy, headed to the Egyptian Embassy to cast their ballots for the second day on the new amendments to the Egyptian Constitution - Egypt Today/ Hossam El-Din MohamedEgyptian nationals in Milan, Italy, headed to the Egyptian Embassy to cast their ballots for the second day on the new amendments to the Egyptian Constitution - Egypt Today/ Hossam El-Din MohamedEgyptian nationals in Milan, Italy, headed to the Egyptian Embassy to cast their ballots for the second day on the new amendments to the Egyptian Constitution - Egypt Today/ Hossam El-Din MohamedEgyptian nationals in Milan, Italy, headed to the Egyptian Embassy to cast their ballots for the second day on the new amendments to the Egyptian Constitution - Egypt Today/ Hossam El-Din MohamedEgyptian nationals in Milan, Italy, headed to the Egyptian Embassy to cast their ballots for the second day on the new amendments to the Egyptian Constitution - Egypt Today/ Hossam El-Din MohamedCAIRO - 20 April 2019: Egyptian nationals in Milan, Italy, headed to the Egyptian Embassy to cast their ballots for the second day on the new amendments to the Egyptian Constitution.Egyptian expatriates started a three-day voting on the new constitutional amendments in 140 embassies and consulates of 125 countries worldwide, amid massive campaigning for the amendments abroad and domestically.Polls will be open Saturday through Monday with 55 million Egyptians eligible to vote on the new amendments, which would increase the presidential term from four to six years, allocate 25 percent of parliamentary seats to women, re-introduce the Shura Council and reinstate vice president post.Egypt’s Ministry of Migration dedicated hotlines for Egyptian expatriates to receive any complaints or questions related to the three-day public referendum.Egyptian expatriates could contact the Ministry of Migration on the following phone numbers: +201289850655/ +201017071810 / +201159476593.They also can contact the ministry via mail: Info.elections@emigration.gov.eg , the minister said in a statement on Thursday. Polls opened Saturday through Monday with 61 million Egyptians eligible to vote on the new amendments - Egypt TodayCAIRO - 20 April 2019: As the first day for resident Egyptians to vote in referendum on draft constitutional amendments kicked off on Saturday, Egyptian ministers were keen to participate in forming up that piece of Egypt's history by casting their ballots in the constitutional amendment referendum.Polls opened Saturday through Monday with 61 million Egyptians eligible to vote on the new amendments, which would increase the presidential term from four to six years, allocate 25 percent of parliamentary seats to women, re-introduce the Shura Council and reinstate vice president post.TV channels showed queues of voters at some polling stations waiting minutes before the doors were opened and they were allowed in to cast their ballot by either agree or disagree on a set of proposed constitutional amendments passed by the parliament Tuesday.Minister of Education and Technical Education Tarek Shawki has cast his ballot in Al Monira School located in Cairo’s downtown.Minister of Immigration and Expatriate Affairs Nabila Makram has cast her ballot in the British School located in Rehab City.Minister of Investment and International Cooperation Sahar Nasr has cast her ballot in Misr Al Guadida School for Girls located in Misr Al Guadida.Minister of Industry and Trade Amr Nassar has cast his ballot in Koleyat Al Tarbeya School in Dokki.Minister of Housing, Facilities, and Urban Communities Assem Al Gazzar has cast his ballot in Al Moqatam Official Language School located in Al Moqatam.Minister of Communications and Information Technology Amr Talaat has cast his ballot in a polling place in Sheikh Zayed.Minister of Finance Mohamed Maeit has cast his ballot in Khaled Ibn Al Waleed School located in 6th of October City.Minister of Higher Education and Scientific Research Khaled Abdel Ghaffar has cast his ballot in the youth center of New Cairo’s First Settlement.Minister of Local Development Mahmoud Shaarawy has cast his ballot in Al Horreya School located in Misr al-Gadida.Minister of Endowments Mokhtar Gomaa has cast his ballot in Al Shaheed Pilot Mohamed Gamal located in Al Manyal.Minister of Health and Population Hala Zayed has cast her ballot in Mostafa Kamel School located in Sheraton Residences. The minister urged Egyptians to vote stressing that their participation is a national duty.Minister of Culture Inas Abdel Dayed has cast her ballot in Abou Bakr Al Sediq School located in Sheikh Zayed. The minister called for Egyptians to exercise their right of voting.Minister of Irrigation and Water Resources Mohamed Abdel Aty has cast his ballot in Al Canal School located in Maadi.Minister of State for Military Production Mohamed al-Assar has cast his ballot in Siza El Nabarawy School in New Cairo’s Fifth Settlement.Prime Minister Mostafa Madbouly has cast his ballot in polling place in Sheikh Zayed. Wang Jianfeng is no ordinary barber. The 39-year-old from Shaoxing in eastern China specializes in sculpting images of famous faces on to the backs of his clients' heads. SHAOXING, China (Reuters) - Wang Jianfeng is no ordinary barber. The 39-year-old from Shaoxing in eastern China specializes in sculpting images of famous faces on to the backs of his clients’ heads.From the likes of former Chinese leader Mao Zedong to KFC’s Colonel Sanders, to film stars such as Bruce Lee and Jean Reno, Wang can do them all.Inspired by a video he saw online of renowned U.S. hair artist Rob Ferrel, who creates portraits of celebrities on his clients’ scalps, Wang wanted to do the same for Chinese men.Since completing his first hair sculpting piece in 2015, Wang has steadily gained a loyal following.His work has become so popular that clients have traveled from neighboring provinces and cities to get their hair sculpted by Wang.“It’s a form of art,” Wang said. “It comes from life but it is also beyond life.”Shi Like, a 30-year-old delivery worker, is one of Wang’s regulars whose previous hair art designs of choice include one of Salvador Dali’s distinctive mustache.When Reuters visited Wang’s barbershop, Shi opted for Chairman Mao to celebrate the 70th anniversary of the People’s Republic of China.“Serving the people is my motto,” Shi beamed, quoting the former Chinese leader himself.“I feel like the image of the renminbi note is sculpted on my head,” Shi added, laughing to himself.Another of Wang’s regulars, 28-year-old Zhai Rubin, was visibly delighted to be getting a cut of one of his idols - former England soccer player David Beckham.Having Beckham’s image on his head “means that I can be fashionable as him”, said Zhai.Wang spends two weeks each month on the road, giving lessons around the country to barbers and hair stylists at major high street salon chains on how to sculpt basic patterns on to clients’ heads.The rest of the time, when not running his barbershop business, Wang does hair art for around 8 to 10 clients each month.Clients are charged 200 yuan ($30) for each piece of hair art which is the same price as a normal haircut at Wang’s barbershop.A single hair art cut takes Wang roughly an hour to complete and grows out after around a week.“I hope hair sculpting can be considered as a normal haircut and accepted by more hair stylists and customers,” Wang said. NCW head Maya Morsi casts her vote in constitutional referendum – Press photoWomen voting in the referendum on April 20, 2019CAIRO – 20 April 2019: Maya Morsy, head of the National Council for Women (NCW) cast her ballot in a referendum on a set of proposed constitutional amendments, in a polling station in Giza's Dokki district.Morsy called on Egyptian women to take part in the referendum.The Parliament earlier approved the amendments which include guaranteeing women at least 25 percent of the seats (at least 112 seats) of the House of Representatives.Since the establishment of the Egyptian House, the number of women parliamentarians has never reached such percentage.One year after Egyptian women were granted the right to vote in 1956, Rawia Atiya and Amina Shoukri became the first two women parliamentarians in Egypt's history. The women's quota has then increased over years to reach about 15 percent in the current 2015 parliament.Also, in 1962, late President Gamal Abdel Nasser appointed Hikmat Abu Zeid as minister for social affairs, to be the first minister in the country's modern history. The Social Solidarity Ministry is currently chaired by Ghada Wali, who has remained in her post for three consecutive cabinets.For the first time in Egypt, eight women have got ministerial portfolios, including ministers of investment, environment, tourism, health, planning, immigration and culture.In December, Minister of Immigration Nabila Makram said that President Abdel Fatah al-Sisi will attach special importance to women's role in Africa after assuming the African Union (AU) presidency in 2019.Moreover, Hala Zayed, who has served as health minister since June 2018, said that for five years the ministry has adopted many programs and policies to improve women's health, asserting that women represent 50 percent of the employees in the headquarters of the Ministry of Health.Zayed said that 30 percent of the vital ministries in Egypt are headed by women, as many women in the country have the expertise that qualify them for leadership positions, in light of the political leadership's keenness to support and empower women in all fields.She added that Egyptian women nowadays are breadwinners for about 35 percent of the Egyptian families.Niven al-Misiri, CEO and managing director of Ahli United Bank-Egypt, said that Egypt is working to implement the United Nations guidelines to achieve justice for women in all its institutions. As spring flower fields around the Netherlands burst into bloom, painting the countryside with dazzling swathes of red, white, and blue, a modern day tulip bubble may be forming: tourists. AMSTERDAM (Reuters) - As spring flower fields around the Netherlands burst into bloom, painting the countryside with dazzling swathes of red, white, and blue, a modern day tulip bubble may be forming: tourists.More than a million foreign sightseers are expected to visit this country of 17 million people on Easter weekend, a record, the Dutch Tourism Bureau said on Thursday.Director Jos Vranken said he expects them to spend 300 million euros — a boon for the national economy. Many are attracted to the country’s museums and other cultural offerings, but in April, the flower fields and Keukenhof flower show in The Hague top many “must see” lists.While flower lovers and the photographs they share on social media are free advertising for the country’s tourism, cut flower and bulb industries, it isn’t all a bed of roses.“That has a downside,” Vranken said. “Farmers are having increasing damage to their fields from tourists taking photos.”Foreign and Dutch tourists alike have learned to use “Flower Radar” websites to identify where fields are in bloom, especially in the main bulb-growing center known as the “Bollenstreek” along the coast between Haarlem and Leiden.DO NOT TIPTOE THROUGH THE TULIPSSigns and barricades — now printed in Chinese and English — saying “Enjoy the Flowers, Respect Our Pride” have gone up at the edge of many fields.They illustrate the concept that taking photos at the edge of a field is okay, but actually walking among the flowers to take pictures ruins them.Meanwhile, farmers in less-promoted areas of the country sense an opportunity.In Creil, northwest of Amsterdam, one enterprising group has set up a “Tulip Experience” complete with designated selfie area, hundreds of tulip varieties on display, helicopter tours, food and drinks, and bouncy castles for kids. Queues of voters lined up April 20 outside polling stations in Giza to vote in the referendum - Photo by Karim Abdel Aziz/Egypt TodayCAIRO - 20 April 2019: Egyptian polling stations closed doors at 9:00 pm on the first day of the referendum on constitutional amendments which would last till Monday in Egypt and Sunday abroad.A total of 61 million eligible voters were called for casting their ballots in the public referendum on the constitutional amendments.On Saturday, a number of consulates have also opened their doors to continue the three-day referendum process abroad, which kicked off on Friday. The first embassies to open was in New Zealand and Australia.Egyptian nationals in China have also started flocking to the Egyptian embassy in Beijing for the second day of the referendum. The first day of voting has reportedly seen many Egyptians at the polling stations abroad.Egyptian expatriates started three-day voting on the new constitutional amendments in 140 embassies and consulates of 125 countries worldwide, amid massive campaigning for the amendments abroad and domestically.“The referendum on constitutional amendments will be completely supervised by the judiciary,” said Judge Lasheen Ibrahim, head of the National Election Authority, at a press conference held at the headquarters of the State Information Service in Cairo’s Nasser City district. “There will be a judge at every ballot box. The media and civil society will be able to follow the process. President Abdul Fattah al-Sisi will participate in the Belt and Road forum in China’s capital of Beijing from April 25 to 27, among presidents and senior officials from some 40 countries. On the sidelines of the forum, President Sisi is expected to hold talks with his Chinese counterpart Xi Jinping and will also meet the Chinese Prime Minister Li Keqiang, along with the chairman of the National Committee of the Chinese People’s Political Consultative Conference (CPPCC) Wang Yang. 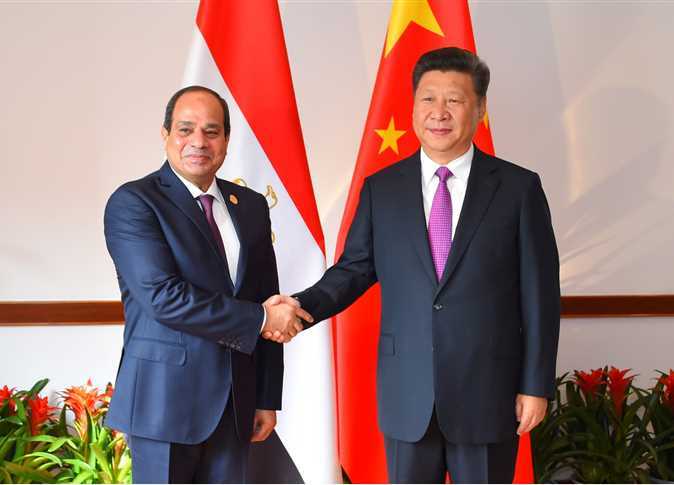 The visit is expected to see the signing of agreements and memorandums on joint cooperation between Cairo and Beijing. Chinese Foreign Minister Wang Yi said on Friday that his country’s ‘Belt and Road’ initiative is a win-win benefit for China and all countries involved in the mega-project, and serves development purposes in African countries in particular. This is the fifth visit by President Sisi to China, as the relationship between the two countries depends on the comprehensive strategic partnership. File-Nissam JalalCAIRO – 20 April 2019: The closing concert of the Downtown Contemporary Arts Festival (D-CAF) will be on Sunday, April 21.Nissam Jalal, a Franco-Syrian flutist alongside Egyptian musicians will perform in D-CAF last concert which will be entitled Om El-Aagayeb.The second musical concert of D-CAF was held on Friday April 19 at the Greek Campus.This concert features Abuyusuf, 3 Phaz, and Wegz.Abuysuf is an Egyptian rapper who has established himself as an idol among young people, thanks to his catchy lyrics and his spontaneous interpretation.He always employs daily words and colloquial idioms so that they would be easily memorized.3Phaz is a Cairo based musician obsessed with bass, distortion, and the deconstruction of the Shaabi aesthetic.His work is focused on amplifying the raw energy of Shaabi music and taking it a step further, the kind of raw energy you are bombarded with on the streets of Cairo as motorbikes and rickshaws fly by, blasting Shaabi through their busted speakers.Wegz is an Egyptian musician whose young age has led young people to identify to him so easily. Wegz's music mixes between hip-hop, mahraganat, and Shaabi.The Downtown Contemporary Arts Festival (D-CAF) is running from March 29 -April 21 at different venues in Downtown Cairo.The first contemporary arts festival to introduce Cairo audiences to notable arts performances from all over the world, the Downtown Contemporary Arts Festival (D-CAF) returns to Sherifein Street as a venue for its eighth edition.Featuring 40 events and several workshops from global acclaimed artists, the D-CAF schedule this year is packed with 10 performing arts events as well as seven music concerts and four urban vision performances.Audiences can look forward to new media and film programs in addition to special events and workshops from Denmark, Hungary, France, the US, the UK, Germany, Iran, Syria, and of course Egypt.This year features interesting performances in all aspects, starting with a well-acclaimed Danish play, ‘’Dust’’, a fascinating theatrical experience.Additionally, D-CAF are holding the Arab World premiere of ‘’Crazy But True’’, an interactive installation performance by the British artist Ant Hampton.The festival is continuing in our focus on women as well through presenting talented female artists like the American band T-sisters who sang together with Cherine Abdo in addition to singing their own repertoire.The eighth edition also housed special workshops by Abou Bakr Shawky, director of Yomeddine, who gave a film directing workshop in addition to his wife and producer, Dina Emam, with her workshop on film production. The widow of Anwar Sadat, Jihan Sadat, cast on Saturday her ballot in the referendum on the constitutional amendments in Dokki, Giza - Press PhotoCAIRO - 20 April 2019: The widow of Anwar Sadat, Jihan Sadat, cast on Saturday her ballot in the referendum on the constitutional amendments in Dokki, Giza.During her phone in Ten Channel, Sadat urged women to take part in the referendum, saying that Egyptians should move to perform their national duty and participate in the referendum on the constitutional amendments, whether said no or yes, adding that boycotting is a betrayal.The first day of the referendum kicked off in Egypt, where polling stations across governorates have opened their doors at 9 a.m., and will close at 9 p.m. for three consecutive days.TV channels showed queues of voters at some polling stations waiting minutes before the doors were opened and they were allowed in to cast their ballot by either agree or disagree on a set of proposed constitutional amendments passed by the parliament Tuesday.A number of societal dialogues were held over the past weeks attended by various segments and experts in the country, to discuss the amendments ahead of a plenary session at the House of Representatives, where parliamentarians voted for passing them.A total of 61 million eligible voters were called for casting their ballots in the public referendum on the constitutional amendments.